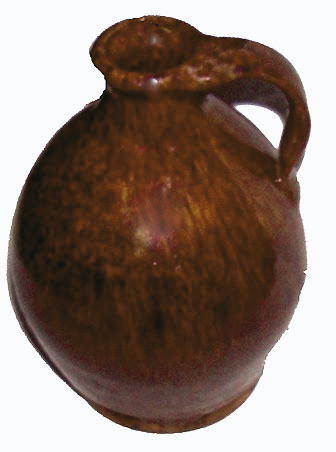 The pictures do not do justice to this wonderful and rare ovoid Redware Jug from Maine. The glaze is fantastic as is the condition! It has a runny brownish and oatmeal glaze that takes on almost a pinkish/violet color in certain light. 6-1/2 inches high. No apologies here!